Elayne Robinson Grossman is recognized for her contribution to the art of Jewish choral music. Dr. Grossman serv ed for 22 years as conductor and musical director of New York City’s Rottenberg Chorale (1977-1999). She has conducted in the United States, Canada, Israel, Great Britain and Italy. She is a renowned lecturer and scholar-in-residence in the music of the Jewish people. Dr. Grossman brings many facets of her musical experiences to the singers of Sharim v’Sharot. She is in demand as a voice-teacher and vocal coach. She has studied choral arranging with Alice Parker and has subsequently arranged many works for chorus. She is editor and transcriber of Sephardic songs from Yugoslavia, The Flory Jagoda Songbook, TARA Publications. 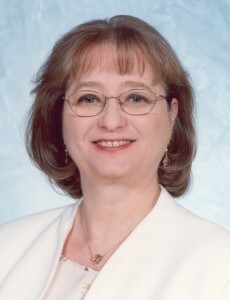 Dr. Grossman taught woodwind instruments at the Abrams Hebrew Academy in Yardley, Pennsylvania, where she was Director of the Instrumental Music Program until her retirement. Together with her husband, Rabbi Daniel T. Grossman, Dr. Grossman performs Siman Tov, a presentation in Jewish music, culture, prayer, mime and sign language for hearing and hearing impaired audiences. She is co-composer of Help Us Bake a Challah: Songs for Jewish Children (Tara Publications) and is producer, arranger, and performer on the recording which in its upcoming release has been retitled Penny in the Pushka.